ONAMI’s portfolio companies in this segment represent a wide variety of breakthrough technologies which affect our everyday lives. How we measure, move, and monitor the world around us. These companies help us breathe, see, and feel better. Lives are enriched. Some of these companies already have successful products in the marketplace. Others are advancing their inventions in the lab. Still others are actively seeking investors and/or commercial partners. Company Principal: Don Megrath, CFO, ABOM, Inc.
Project Description: Working with the Oregon State University (OSU) School of Chemical, Biological and Environmental Engineering (CBEE), Abom intends to develop the next generation of transparent, thin-film conductive materials for eyewear. This collaboration will enable Abom to extend its reach into smaller, and more complex, protective eyewear systems. The OSU team will develop state-of-the-art, visibly transparent nanocoatings using innovative, scalable manufacturing processes. This newly funded ONAMI project is built on the infrastructure and expertise made possible by an ongoing Scalable Nanomanufacturing project supported by the U.S. National Science Foundation. Company Principal: Damion Shelton, CEO, Agility Robotics Inc.
Project Description: Agility Robotics designs and builds legged robotic platforms for a diverse set of industries, including academic and corporate R&D, telepresence, military and law enforcement, and logistics and delivery. Agility's flagship robot, Cassie, is one of the first commercially available bipeds that can operate both indoors and outdoors over a variety of terrains. Building on technology licensed from Oregon State University, in this project the Agility team is working to expand the capabilities of Cassie walking untethered utilizing virtual reality technology. At Agility, our philosophy is that mobile robots should adapt to and move through human spaces, without requiring re-engineering of existing infrastructure. February 2017: Agility released Cassie as it's first product, and has since shipped multiple units of Cassie to leading institutions. August 2017: Agility and Cassie were featured in WIRED Magazine, in the article "WANT A ROBOT TO WALK LIKE YOU? DON'T EXPECT IT TO LOOK HUMAN". March 2018: Agility announced $8M Series A funding with investment from Playground Global, Sony Innovation Fund, Robotics Hub. Read more here. Description: The goal of this project is to demonstrate proof-of-concept process integration and testing capabilities that will enable the realization of a metal-insulator-metal (MIM) diode-based display pixel switch employing discrete MIM diodes fabricated with amorphous metal electrodes. This effort supports the team's vision for replacing the thin-film transistor (TFT) in backplane switching technology with a MIM diode that supports a 3x improvement in display backplane manufacturing line throughput and capacity for current e-ink, liquid crystal, LED, organic LED (OLED) and 3D displays. In addition, the MIM diode’s physical flexibility offers the potential to uniquely enable the coming generation of flexible OLED-based displays that promises to redefine mobile electronic communications, entertainment, and computing devices. Amorphyx plans to initiate work with a leader in the flexible display industry with the goal of establishing a joint venture for the design and production of flexible displays in Oregon. Company Principal: Adrian Polliack, CEO, Diatomix Corp.
Project Description: Working with Portland State University, the Diatomix team is developing and characterizing a paint additive to be inserted into paint mixes to improve indoor air quality by photocatalytically reducing VOCs. Company update: Diatomix has expanded it's product application space beyond paint and now see applications as floor cleaning products and air filters. The company believes their photo-catalytic technology actively and continuously improves indoor air quality by adsorbing and degrading airborne toxins to safe byproducts. In 2018, Diatomix was named a TechConnect Innovation Awardee and won the Impact Invention Award at the 2018 Elevating Impact Summit by The Lemelson Foundation. Description: Oregon State University and Inpria used ONAMI Gap funding to demonstrate application of a new technology that provides highly efficient deposition of and patterning of functional materials for device applications at all length scales. Company Status: Inpria has focused it's technology on the development of metal oxide photoresists, seeking to unlock the full potential of EUV patterning for the fabrication of latest generation semiconductor devices. Inpria received a prestigious NSF SBIR award in 2010, and in May 2011 announced receipt of Series-A venture funding. Investors includes Samsunv Ventures, ASML Ventures, Applied Ventures (the venture capital arm of Applied Materials, Inc.), Intel Capital, JSR Corporation, and ALIAD (the investment arm of Air Liquide). Company Principal: Mark Ronay, CEO, Liquid Wire Inc. Liquid Wire enables low resistance stretchable electronics with stable performance through a patent pending class of materials called "metal gels". With room temperature processing and no loss of conductivity through fatigue, their high conductivity gels provide an ideal solution for wearable sensing, power and signal transmission. Through ONAMI GAP funding Liquid Wire has developed scalable roll to roll processes to print antennas, interconnects, strain gauges and capacitive sensors onto a wide variety of common stretchable substrates. From silicone rubber to polyurethanes, nearly any plastic can now be the support layer for elastic circuitry, revolutionizing electronics form factor and function. As part of their GAP project, the Liquid Wire team is undertaking several business development tasks designed to build strategic relationships, and expand product offerings and customer relationships. Description: Microflow CVO is working to commercialize high performance micromixers developed at the Microproducts Breakthrough Institute (MBI) in Corvallis, Oregon. The efficient fluidic mixing offered by Microflow CVO's micromixers finds utility in many research and industrial applications including nanoparticle synthesis, precision stream blending, and laboratory automation. Micromixing technology improves reaction control, reduces waste, and lowers capital costs associated with production of chemicals and nanomaterials in industries ranging from pharmaceutical and fine chemical to petrochemical and consumer products. Description: The goal of this project is to characterize and optimize nano-particle assisted electrochemical deposition process for selective electroless adhesion/barrier layers to enable CMP-free and PVD-free fabrication of 3D through-Si via interconnects that will drastically reduce the cost of Cu metallization technology. A novel nanoactivation process based on photosensitive and self-assembled nanolayers with catalytic nanoparticles is being developed to initiate electroless metal plating on the isolation surface (SiO2). The self assembling catalytic nanolayer followed by electroless Ni (Co) adhesion/barrier layer deposition will eliminate the current issue of the poor adhesion for electrochemically deposited Cu films on SiO2 surface which limits reliability of copper interconnects. This project will attempt to accelerate the mass-scale adoption of low cost and scalable selective electrochemical metallization technology in semiconductor manufacturing. Company Contact: Heather McKenna, Puralytics Corp. Description: Puralytics is a water purification equipment company located in Beaverton, Oregon. Puralytics has developed a patented photochemical water purification process that harnesses light energy from LEDs or sunlight to remove contaminants. The light energy activates an advanced nanotechnology coated mesh to result in photocatalytic reactions and interacts with contaminants directly in photolysis reactions. Water is purified through these simultaneous photochemical reactions, breaking down organic compounds (such as petrochemicals and pharmaceuticals) and sterilizing bacteria, viruses, and other pathogens. Puralytics' has recently made improvements to its advanced nanotechnology coated mesh that effectively doubles the reactivity of their SolarBag product and enables it to be produced at a lower cost. Working with Oregon State University, the team is validating the new nanotechnology and demonstrating its performance enhancements to purify drinking water to meet to meet EPA Microbiological Purifier Guidelines and WHO health based performance objectives. Description: Working with the University of Oregon, SupraSensor Technologies is developing a real-time wireless sensor capable of in situ measurement of nitrate anion concentration in soil. Agricultural non-point source pollution from nitrate fertilizers is the major contributor to ground and surface water fouling, and reducing the millions of tons of nitrate fertilizer wasted annually through runoff and over-fertilization is one of the National Academies’ “Grand Challenges” faced by the sciences in the 21st century. SupraSensor is a UO startup launched from a collaboration between the labs of Profs. Darren Johnson and Mike Haley. Its initial nitrate selective environmental interface is being developed with support from an NSF SBIR Phase I grant, and the underlying hardware development is supported by this ONAMI Gap grant. Company status: Following funding from ONAMI, Suprasensor continued to develop a ntriate sensor for agriculatural applications, and in December 2016 was acquired by Climate Corporation which works with farmers to sustainably increase crop productivity with digital tools. Climate Corporation is a division of Monsanto. Company Contact: George Williams, VoxtelNano, Inc. Description: The VoxtelNano team led by Dr. Greg Herman of Oregon State University, in partnership with commercial partner VoxtelNano Inc., are using ONAMI Gap funding to develop a high throughput, automated, microwave-assisted continuous-flow, High-volume, Nanoparticle Engine (MACHINE). The team's development targets also include continuous product monitoring, quality feedback, and process control with low product composition size and morphology variation. This development is aimed at meeting the market's need for full-scale manufacturing of high-quality, low cost nanomaterials - a capability not currently available. Update: The technology associated with this project was acquired by Shoei Electronic Materials, Inc. Shoei is a provider of tailored nanocrystalline quantum dots (NQDs) and nanoparticles (NPs). They provide high quality, mono-disperse NQDs and NPs that are tailored to meet customers’ specifications. Using proprietary processing capability, they produce these custom materials at low cost with high batch-to-batch reproducibility. Shoei uses facilities of the Advanced Technology and Manufacturing Institute (ATAMI), under the leadership of Dr. Sam Angelos, the prior VP and site manager for Hewlett Packard, in Corvallis, Oregon, for continuing product and process development. 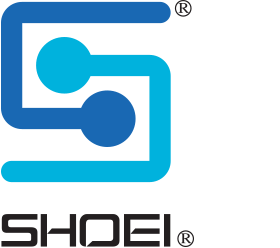 For additional information please contact Dr. Dave Schut, VP R&D for Shoei. Company Contact: Matt Johnen, ZAPS Technologies, Inc. Description: ZAPS Technologies, working with the Keck Collaboratory at Oregon State University, is working to develop a means to quickly, reliably and automatically measure water quality. The ZAPS / OSU team have been granted funds under ONAMI\'s Gap program to expand the ZAPS compound library which is expected to enable expansion into new markets. Funds from this collaboration will be used to apply the LiquiID(tm), the first solid-state optical water quality monitoring instrument developed by ZAPS, for rapid detection of TOC, BOD and multiple compounds in large amounts for flowing water.